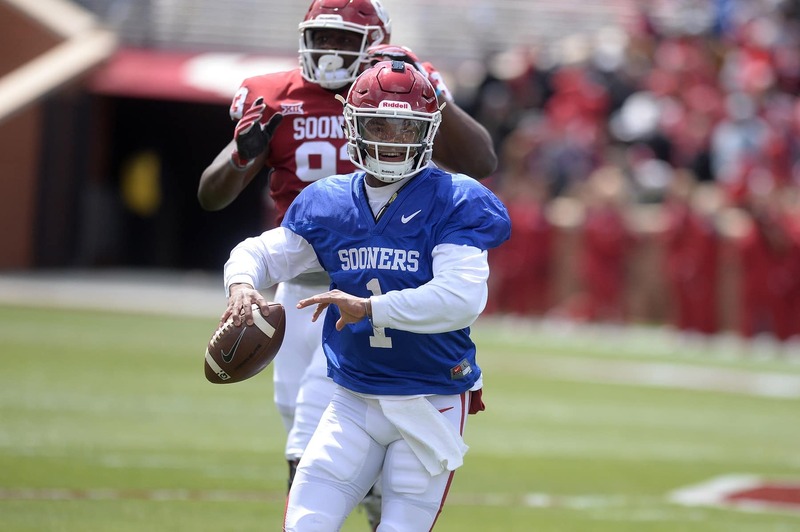 While the Oklahoma Sooners and head coach Lincoln Riley may still be optimistic that quarterback Kyler Murray will play beyond the 2018 season, it’s likely false hope. Murray, who signed a deal with $5 million guaranteed after being drafted No. 9 overall in the 2018 MLB Draft by the Oakland Athletics, is headed for a career in baseball after Oklahoma’s season ends. “Kyler’s baseball career has a very defined path which includes playing football at OU for only the 2018 season,” Boras said, via The Athletic. It’s understandable for Oklahoma to dream of the young quarterback playing for the program beyond the 2018 season. While he hasn’t been named as the Sooners’ starting quarterback yet, it seems like a matter of time before the electrifying quarterback receives the official nod. College football fans will just have to soak in all the moments this coming season because the opportunity to watch him play quarterback is likely over after the season ends. Murray’s career is in baseball and the answer is in the details of his contract.